We may be (just a little) biased, but one of our favorite things about Motif is its versatility. 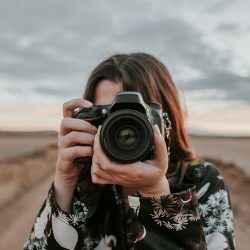 When you’re looking to create a custom photo book, you can design just about anything you dream—a quick flip book full of pictures of your most recent trip to Italy, a coffee table book that showcases your baby’s first year, or even a custom story book to read to your kids every night. 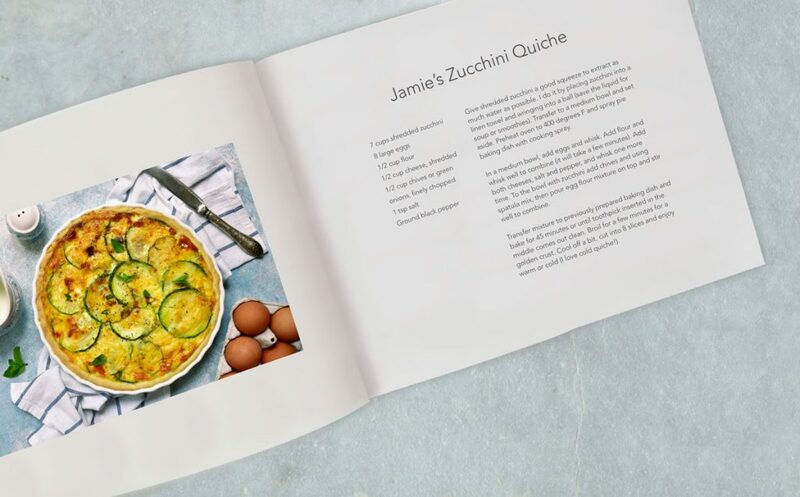 However, there’s another way some our customers are using Motif photo books that we just love: Crafting a healthy recipe book they can love and share with family and friends. There’s never a bad time to create a healthy recipe book—you can enjoy it any time of year and spread your love of healthy eating and cooking. Whether you want a single copy for yourself or multiples to share, it’s easy to make your food vision a reality with Motif. There’s much to consider as you plan your book, but perhaps the most important thing to remember is to make it your own. Here are a few ways to make your healthy recipe book truly custom. Many traditional recipe books are divided into sections, such as appetizers, soups, salads, chicken, poultry, desserts, etc. If you’re building a substantial book, this format may fit for you. Remember to include a table of contents and subsection title pages for your various sections. However, because this is your customized recipe book, you have flexibility. Maybe, instead of categorizing by dish type, you want to categorize by event. 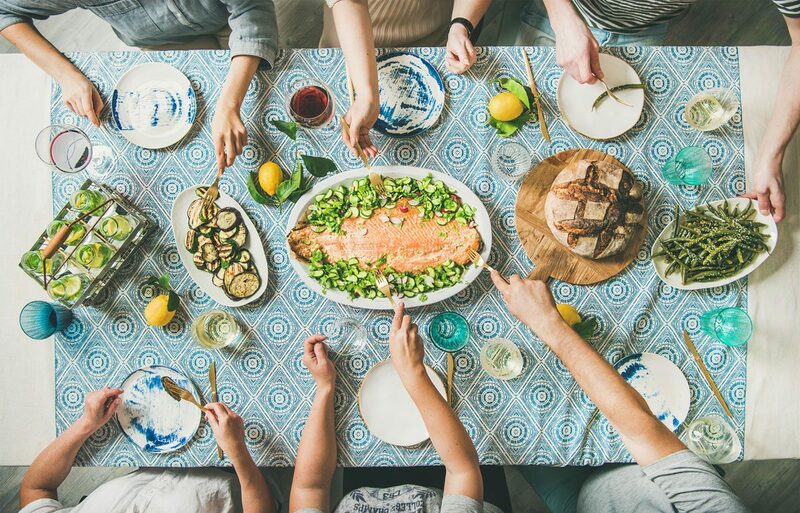 For example, if your family has a traditional birthday meal, you might create a Birthday Bests section that includes all those recipes, placed conveniently with each other. 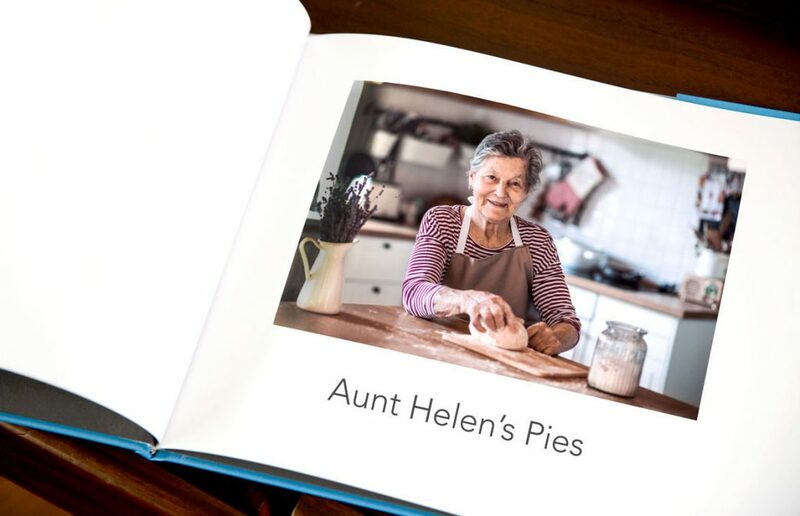 Maybe your Great Aunt Helen was a beloved master baker: Dedicate a section to her and feature your favorite dishes she mastered. 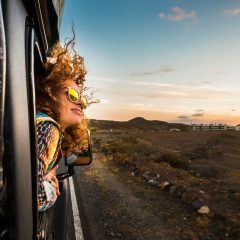 The options are endless and should be all about you and how this book fits into your life. The beauty of creating your own healthy recipe book is that it’s yours! You can include (or omit) anything you deem fitting. If you really love salads, pick and choose the ones you like best. You might opt to do an entire healthy recipe book on soups, or healthy recipes that take just 30 minutes. It’s all about what you want—the only limitation is your imagination. This really comes down to your own preference, as well as budget. 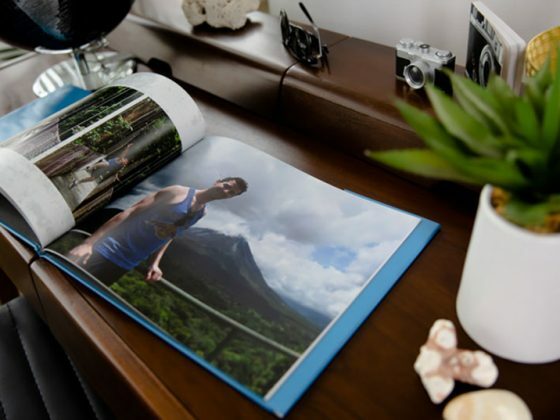 For example, if you want to create a high-end book you can pass down to your children or gift to family or friends, you may want to go with a large format that features a single recipe per page with an accompanying photo on the opposite page of the two-page spread. This allows you to maintain white space while including beautiful food art. On the other hand, if your focus is on practicality and creating a cozy keepsake that features as many family recipes as you can fit, you’ll likely use more text blocks with a photo here and there. In this case, take advantage of Motif’s manual book creation tools to custom-add your text boxes, incorporating several recipes onto the same page. For visual interest, include a small photo next to top recipes, like that beautiful layered fruit dessert you crafted for you mom’s 60th birthday. This is your own handmade, personalized healthy recipe book. Customize your descriptions, name your recipes, include your photos, and share your stories. We love seeing pictures of food, and cookbooks often feature gorgeous images of plated dishes. In this case, think about what other imagery might be a good fit. If the book is about your family’s favorites, include photos of your family on the cover. Maybe it’s a photo of you and your cousins huddled around your homemade birthday cake, or the appetizer bar from your sister’s baby shower. Start your book by setting the perfect tone before you even open to the first page. 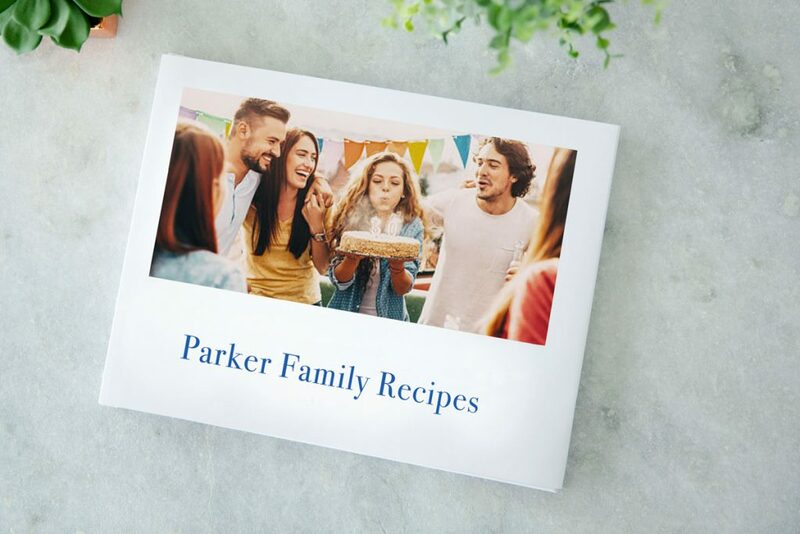 Consider including personal photos and dedicating each recipe to someone in your life. For example, the how-to on creating the delicious fruit salad served in an adorable, hand-carved watermelon serving dish you showcased at your best friend’s birthday party could be accompanied by a picture of your guest of honor from that special day. The rainbow sprinkle pancake volcano you surprised your son with on his fourth birthday gets named after him and shows a picture of his amazement from the morning you brought it out. It’s your recipe book. Showcase the photos and memories that make these recipes so important. Add descriptive text, explaining what makes each recipe so special or a memory from an event where you debuted it. When you create your own healthy recipe book, you have an opportunity to craft more than a beautiful book—think of it as a time capsule of your favorite memories, shared through food. Great healthy recipes are hard to come by, despite the plethora available on the Internet. If you’re a gifted chef and can build a cookbook of unique recipes you created yourself or have been passed down through your family, you don’t need to worry about ownership because you own the recipes! However, if you’re creating a recipe book that compiles favorite healthy recipes you collected from various sources, it’s important to acknowledge the recipe owner and creator. Make sure to include the source and opt to take your own photos of the dish. 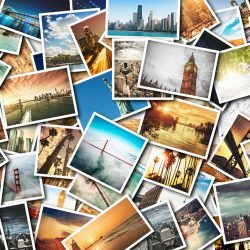 Even though the professional images online are undoubtedly amazing, they aren’t readily available for reproduction. This is especially important if you’re creating multiple books to gift to family or friends.